What kind of readings do you offer? 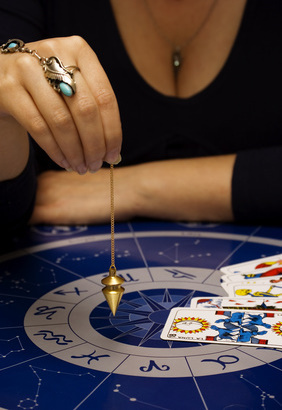 We offer the complete spectrum of methods of divination like tarot, palmistry, numerology, astrology, tea leaf reading, handwriting analysis, and more...of the very best party psychic readers in every particular discipline! Y​​ou can therefore ask for what you want if you have a preference, for example, a tarot reader, a palm reader, an astrologer, a numerologist, a tea leaf reader, a handwriting analyst, etc. ​I​f you are opened to suggestions, we will provide you with what we believe is the best psychic match for your particular party, after a thorough evaluation of your needs. Readings are usually performed seated at a table, but on occasion, readings can also be performed while roaming around the guests, (a wonderful ice breaker at the beginning of any party! ).